You may have read references to the May 25th Harvard Business Review article on top performing sales teams. The premise of the article is that optimizing B2B sales depends on successfully balancing the sales staff between reps and support. 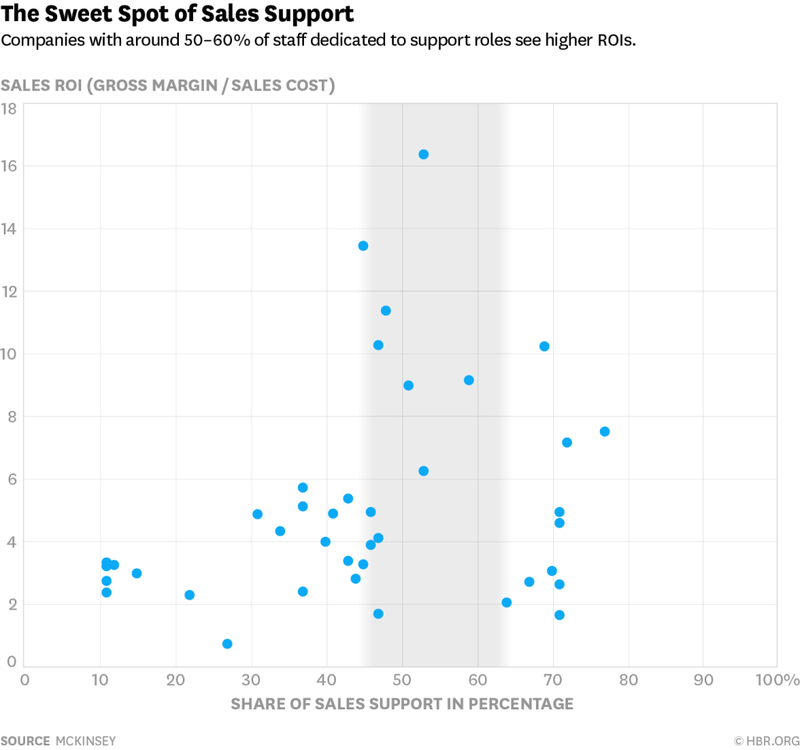 They explore correlations between the support/rep ration, span of management control and even type of sales support. Their conclusions were that 50-60% support/total sales staff was common among top performing organizations. They further concluded that emphasis on sales operations and administrative support were common in top performing companies, and that the ideal span of sales management control was 1:8. When I first saw a reference to the article I was intrigued. I expected to find data that explored the changing role of inside sales and how top performing organizations were boosting compensation and profile of inside sales pros. Alas they didn't - in fact their "front line" sales category was a homogeneous group of those that carry quota. That overlooks the huge change in sales and marketing staffing that companies are slow to recognize. Yet many industrial companies are slow to provide this because it doesn't fit the old model by which they define the B2B sales world. maximizing the benefits of sales support requires companies to focus on building a fast-moving organization where some support activities are automated, streamlined, or cut entirely. But it's not just the sales support to automate. Early stages of the sales process can be automated in both transactional ways, but also in ways that enable sales to be more effective. Marketing automation offers incredible capability when it's properly understood and configured. The problem is that too often that's left to marketing....so the capabilities which are leveraged are around traditional marketing responsibilities. Experienced sales reps need to be involved, and ideally project managers have experience in both fields, deep familiarity with the marketing automation tools AND insight into sales process improvement and changing buyer behaviors. The bottom line? Sales team configurations need to change. But it isn't a simple binary rep vs. support choice. 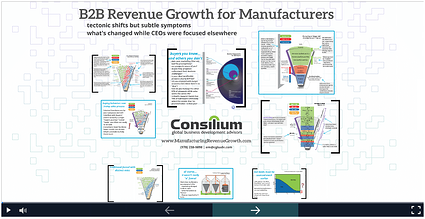 While you ponder that, check out our downloadable guide to Turning Marketing Automation into a B2B Sales Growth Engine.